Lecture notes for CSC 418/2504 Computer Graphics course at the University of Toronto. 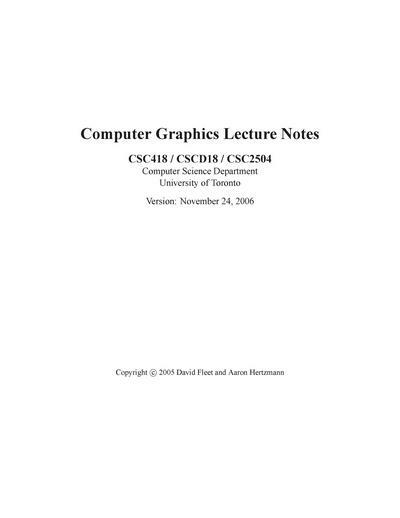 These are lecture notes used in CSC418 Computer Graphics course for undergraduates at the University of Toronto. Introduction to Graphics - Curves - Transformations - Coordinate Free Geometry - 3D Objects - Camera Models - Visibility - Basic Lighting and Reflection - Shading - Texture Mapping - Basic Ray Tracing - Radiometry and Reflection - Distribution Ray Tracing - Interpolation - Parametric Curves And Surfaces - Animation. David J. Fleet is Professor of Computer Science at the University of Toronto, and Chair of Computer and Mathematical Sciences at the University of Toronto Scarborough. His research interests include aspects of computer vision, image processing, visual perception and visual neuroscience. Most of his specific research has focused on mathematical foundations and algorithms for visual motion analysis, tracking, human pose and motion estimation, and models of motion perception and stereopsis. 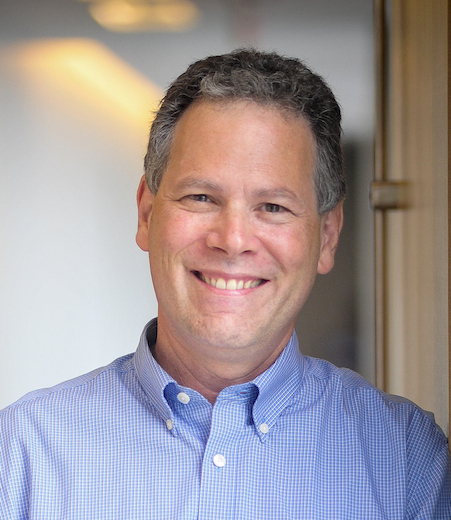 Aaron Hertzmann is Senior Research Scientist at Adobe Research, San Francisco. He is interested in all areas of computer graphics and computer vision.